This article was originally posted here on November 13th, 2017. It was updated and reposted here on September 7th, 2018. Are you parenting a teen or a college student with a disability of any kind? If you are, you need to know about the wonderful services offered by the disability services office on your child’s college campus. 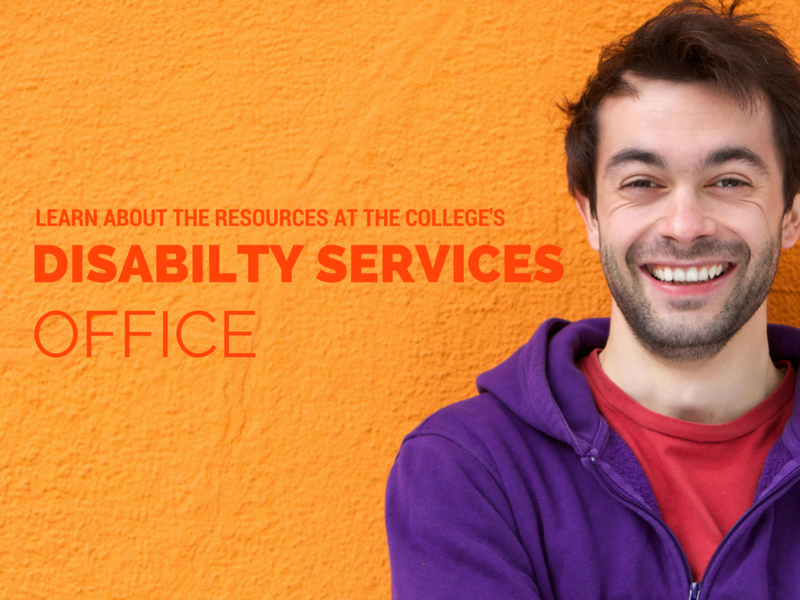 Whether your child has a physical disability, a learning disability, a mental health disability, or any other kind of disability, the college’s disability services office will provide extraordinary, kind, supportive help. I suggest that you and your child, together, contact the college disability services office for the first time early in the summer before your child starts college. Or as soon as possible after that. Be a supportive presence for your son or daughter as he or she tells the disabilities services staff, “Here’s who I am, and here’s what I deal with. Here’s what my situation could look like if things get bad for me. Here’s a list of things we know tend to be helpful for me. Can you tell me about the resources available for students in my situation?” Be open and honest. Make the disability services office your family resource. I love it when students make this call while they’re still at home with their parents, but if it’s too late for that, it’s a call that can be made at any time. Important: Get to get to know the disability services offices staff before a crisis or problem hits. Sometimes, when crisis hits, there can be so much jangling clamor in students’ brains that it can be difficult to figure out what resources are available. But if your son or daughter is already connected to and known by the disability services offices before crisis occurs, he or she will be able to get immediate, knowledgeable help. If your child starts talking about dropping out of college, read the kind, compassionate article I’ve written on how parents can respond helpfully, here. More help than I can possibly list here. If your child struggles with taking notes in classes, note-takers can be provided. If your child struggles with anxiety, the disability services office can arrange for your child to have extended testing time or a quiet, distraction-free room to test in. The list of helpful accommodations and services goes on and on. If your child has a disability, there’s a good chance he or she may qualify for some special accommodations while in college. (Longer time taking tests, for example.) The thing you need to know is that special accommodations are only available to college students whose disabilities have been documented through official channels. Your child’s high school IEP will not be sufficient for accessing accommodations in college—because the high school IEP expires on the date of your child’s high school graduation. Can you get my child a complete battery of educational psychological evaluations, all properly signed by a licensed professional? We will need them in order to access all the disability accommodations he’ll need in college. And one other thing—can we please have these evaluations done at no charge to us? In most states, school districts are required to say yes to this request, but you have to ask. Whatever you do, don’t wait to make this request. The latest point at which you can usually ask and get a yes is the beginning of the child’s senior year of high school. If you wait until after that point to make this request, you may be directed to a private educational psychological evaluator at an out-of-pocket cost to you of as much as $5,000.00. #Collegestudent with a #disability? Make friends with the campus #disabilityservices office now. Here’s why. The advice in LAUNCH provides hundreds of advantages for students at every level of ability. 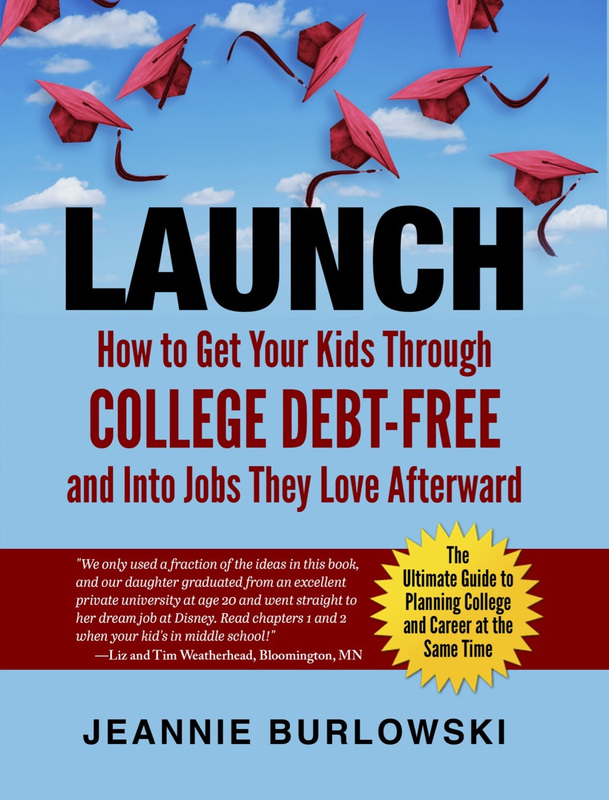 Read just one chapter of LAUNCH every 1–3 months while your child’s in middle school and high school, and you’ll know every viable strategy for debt-free college and career at exactly the right time to implement it. Do you have friends who are parenting kids ages 17–26? SHARE this post on Facebook, Twitter, and LinkedIn right now. What about you? What has your experience been with your campus disabilities services office? Comment below or LIKE Jeannie Burlowski Author on Facebook, find this post on that page, and let’s talk about it there.